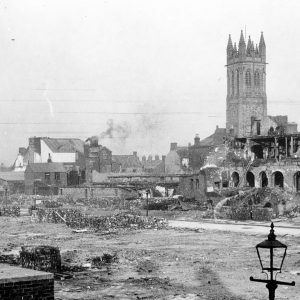 Luftwaffe bombs on East Belfast fell on the industrial heart of the city and surrounding residential areas during the Belfast Blitz of April and May 1941. 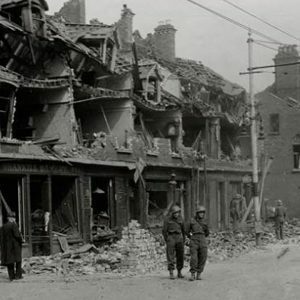 The following areas sustained great damage during the Belfast Blitz raids that occurred on 15th-16th April 1941 and 4th-5th May 1941. 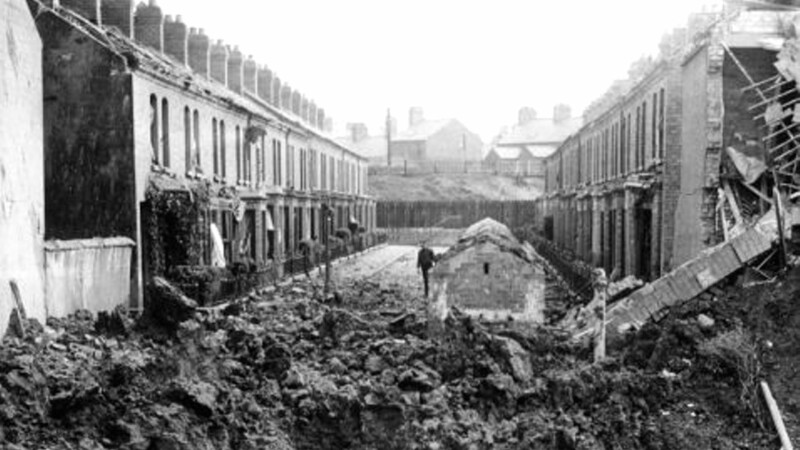 Newcastle Street off the Newtownards Road in East Belfast was devastated in the Belfast Blitz of 1941. 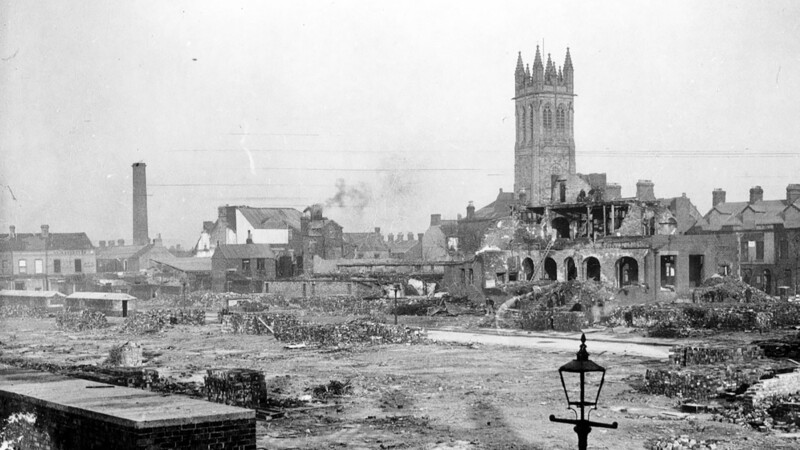 The top end of the street no longer features on maps. 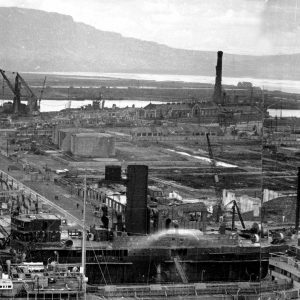 Queen's Road runs through what is now the Titanic Quarter in Belfast, Co. Down. 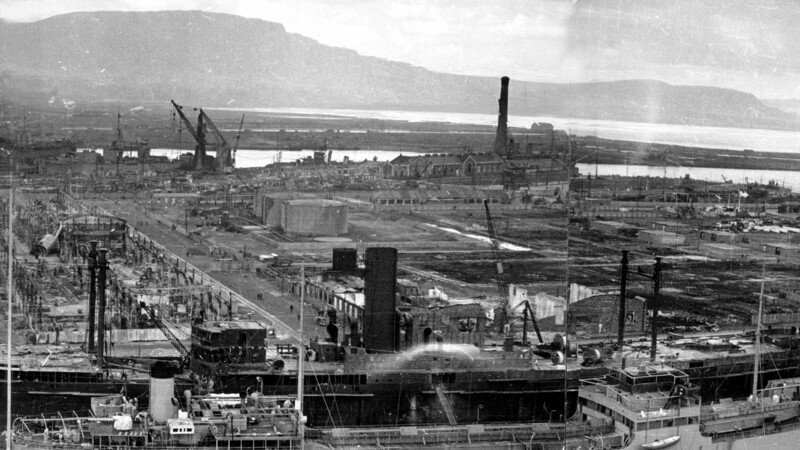 In 1941, Luftwaffe bombs rained down on the shipyards in the Belfast Blitz. 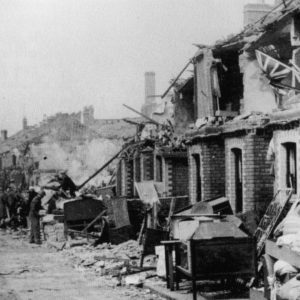 Ravenscroft Avenue in East Belfast, Co. Down suffered great damage during the Belfast Blitz. 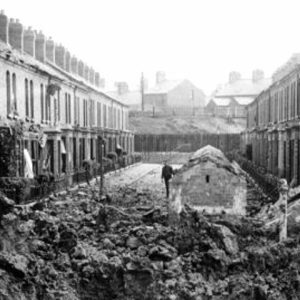 Luftwaffe bombs left a huge crater in the residential street. 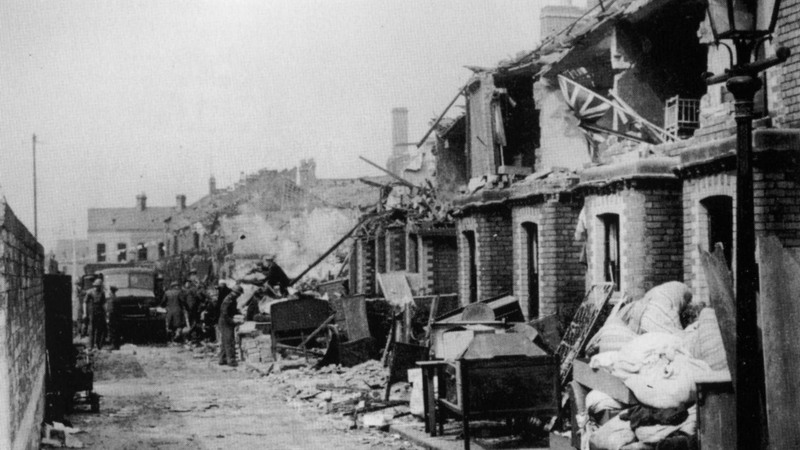 Thorndyke Street, Belfast is home to a large mural depicting the history of the area including a section remembering the Belfast Blitz of April 1941. 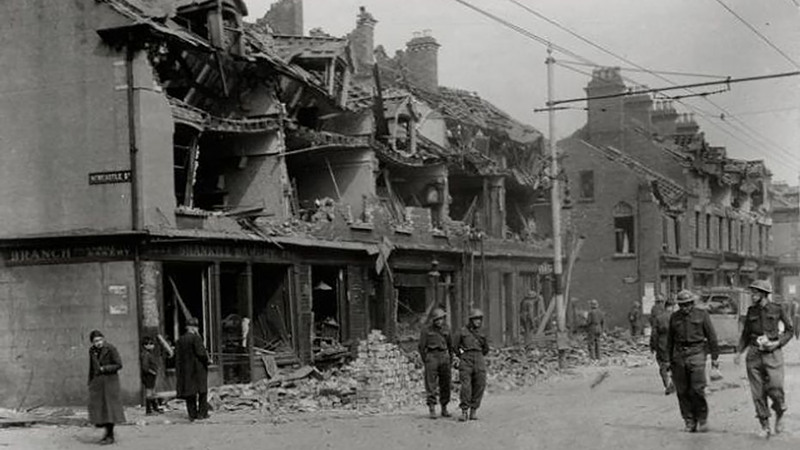 Westbourne Street in East Belfast, Co. Down suffered great damage as Luftwaffe bombs fell on residential areas near the shipyards during the Belfast Blitz. 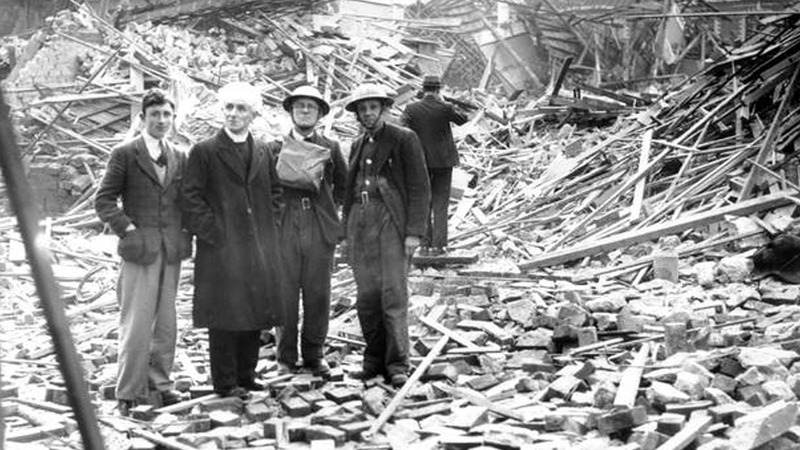 Images captured by Belfast Telegraph photographers in the aftermath of the Belfast Blitz. 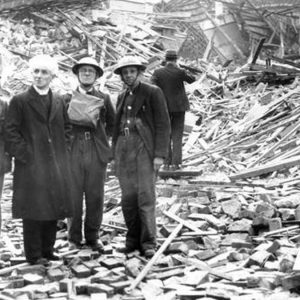 If you enjoyed this post on "Belfast Blitz: Bombs on East Belfast", please share with your friends and followers.